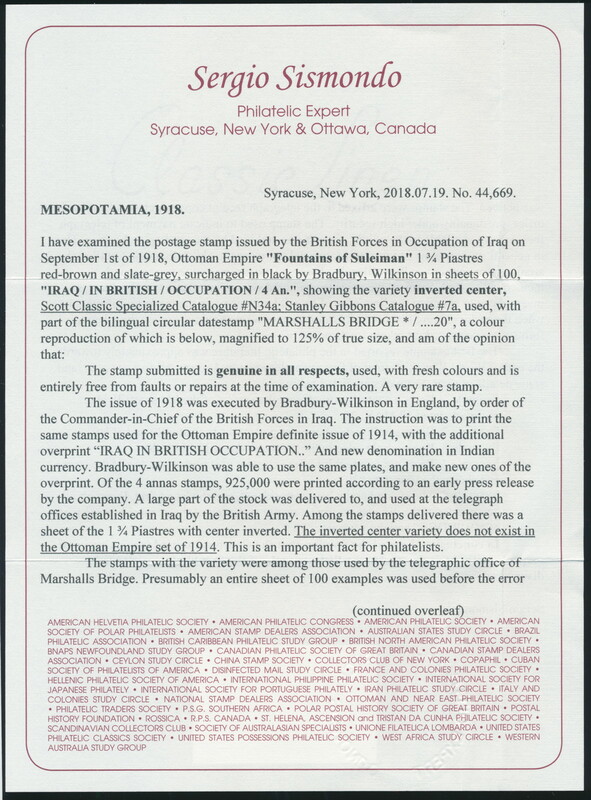 Lot 632 Mesopotamia #N34a 1918 4a on 1¾p Surcharge with Inverted Fountains of Suleiman Centre, used, with unobtrusive “Marshalls Bridge” cancel showing part of the year date “20”. 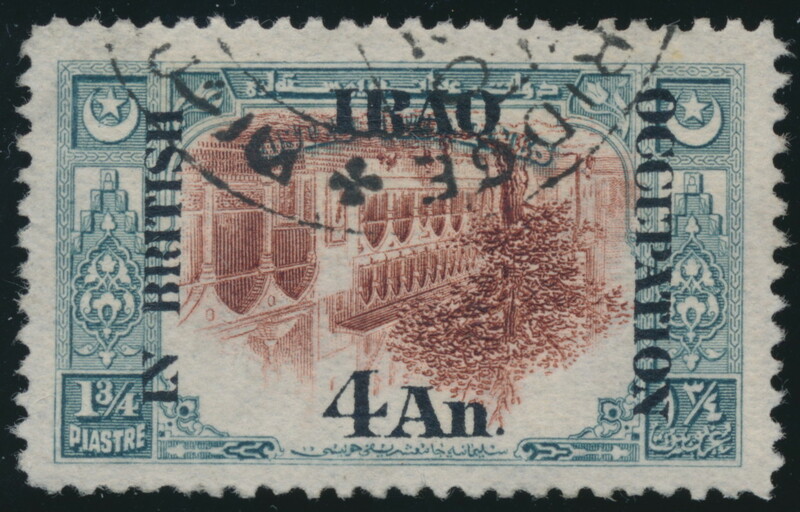 A lovely and fresh example, well centered, with the postmark leaving most of the inverted centre easily visible, very fine. This major error stamp is very rare, as there have only been 4 examples known (all of which are used) until this exciting new discovery. 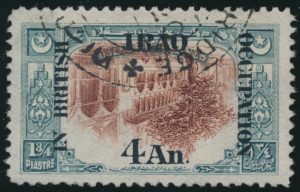 The last example we are aware of having been sold was a thinned stamp which was part of the famous “Robert H. Cunliffe Collection of Spectacular Inverted Stamps of the World” sale in 2009. Accompanied by a 2018 Sergio Sismondo certificate listing all of the five known examples, as well as the history behind the issue. Stanley Gibbons catalogue No. 7a, £32,000. With only five known examples, this is certainly one of the rarest inverted centre issues of the world, and worthy of the finest collection. Rsv. Scott CV U$37,500. Sold for C$30,000 plus 15% buyer’s premium.